AustinPostcard - Texas State Capitol - Austin, Texas. 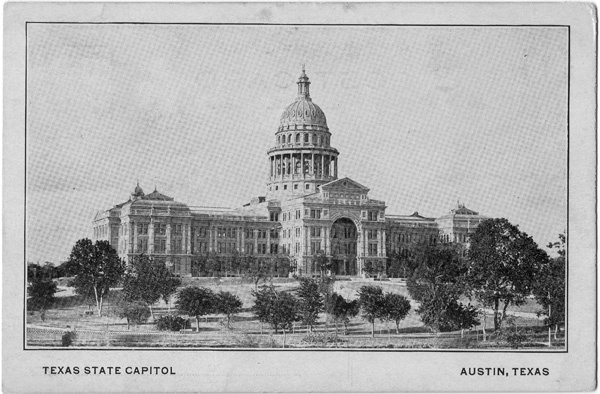 Postcards > State Capitol & Capitol Grounds > Texas State Capitol - Austin, Texas. Texas State Capitol - Austin, Texas. Handwriting: Earls sends regards. This looks just like the state capitol in O.K. will send this in the letter. nothing but hills here ever direction you look you see buildings sitting up on a big hill. Ella.